This is Gary Arant bringing you a complete look into the mechanics of the next Ascension set, Deliverance! Last time I wrote to you all, it was to show off Delirium, which released just a few months ago. Delirium took us back to the Dreamscape - using Insight, acquiring Dreamborn cards, participating in Fate Auctions, and using powerful Recur effects. The reason I suggest you read about Delirium is because for the first time since Darkness Unleashed (our 6th expansion that released back in 2013), we have carried mechanics and story across two sets. That’s right! Deliverance takes place in the Dreamscape and both its story and game mechanics pair directly with the previous expansion, Delirium. Now let’s get into the details! This powerful Hero starts every game of Deliverance in her own spot above the center row. 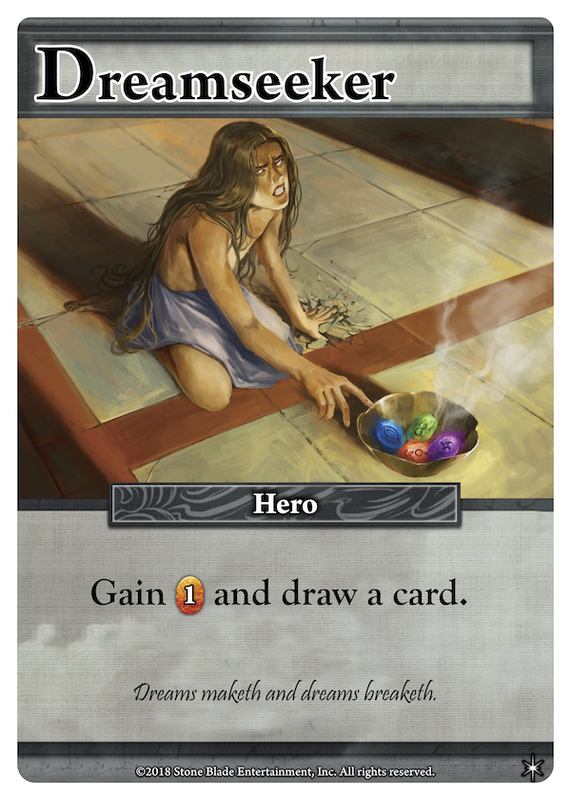 The first player to pay her insight cost gets to acquire Pasythea and gains her powers for the rest of the game. While sixteen Insight might seem like a steep price, there are ways in the center deck to augment the price. Each of Pasythea’s four weapons are Constructs that you can acquire if they show up in the center row. Pasythea’s Insight cost is reduced by four Insight for every one of her weapons you have in front of you, making it possible to Acquire Pasythea for free if you are lucky enough to get all for. Dreambind Monsters are probably my favorite new mechanic. When you defeat a Monster with Dreambind, you gain its Reward just like any other Monster in Ascension. However, you also have the option to pay the amount of Insight listed in the Monster text. If you do, you acquire that Monster to your discard pile. Whenever you draw and play that Monster from that point on, you gain its Reward. We typically reserve a lot of the more punishing effects in Ascension to Monster effects, which means that players don’t usually gain consistent access to things like discard effects and Construct destruction. Dreambind Monsters flip this norm on its head and are a lot of fun to get your hands on. The next mechanic we will talk about is a new twist on an old favorite mechanic: Transform. There are cards in each of the factions that you can use Insight to permanently transform into a more powerful card. The Constructs shown above are Mechana’s spin on Transform, which wants you to control as many Mechana Constructs as possible. Transform is a very satisfying mechanic that tells a fun story (blueprints turning into real airship parts for example), and that happens to pair incredibly well with Insight. Previous iterations of Transform did not have any way for players to slowly and assuredly build towards transforming their cards, which was sometimes frustrating. By saving up Insight to transform cards, players can craft a specific plan around these cards. And last but not least, Phantasm. Cards with Phantasm have a special ability that is on while the card is in the center row. During their turn, players may pay a Phantasm cost of a card in the center row. If they do, they play the card and then banish it. This allows players to turn their Insight into extra resources during their turn. There is also a lot of fun counter-play that Phantasm presents players, by giving them access to deny a card that one of their opponents might desperately want, without having to clog your own deck with a card that doesn’t synergize well with your strategy. Wow! That is a lot for you all to do with your Insight. We wanted to conclude our time with Insight and in the Dreamscape with a bang, so we made sure to load the set up with a lot of new space to explore. So much, that we felt that we needed to give players access to even more Insight than usual. 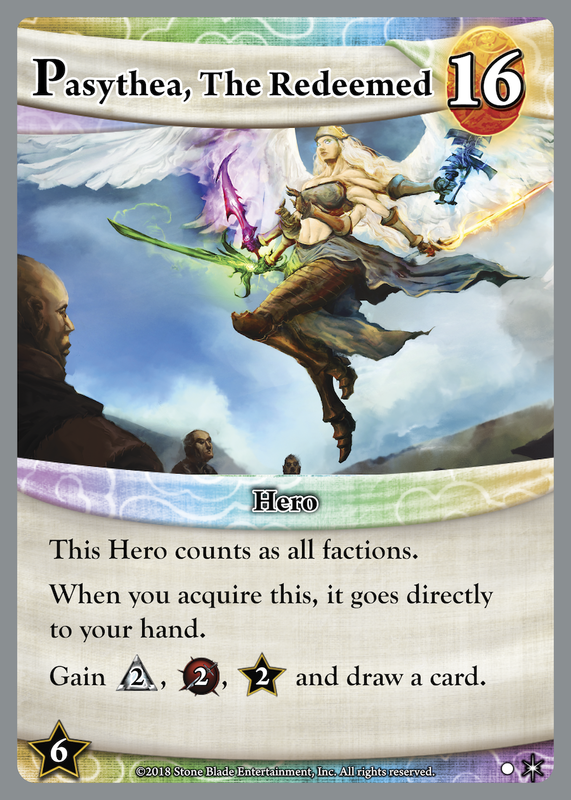 In Deliverance, players start the game with an 11th starting card, the Dreamseeker. This starting card does a great job of making sure that everyone can get enough Insight to access all these new and exciting cards. It has been a blast getting to lead design Deliverance (as well as Delirium) and I hope you all enjoy these expansions individually, paired together and paired with Dreamscape. It is our current plan to continue forward with each year of Ascension expansion having two large sets that are designed to be played together. Let us know what you think about that! Until next time, happy Dreaming!